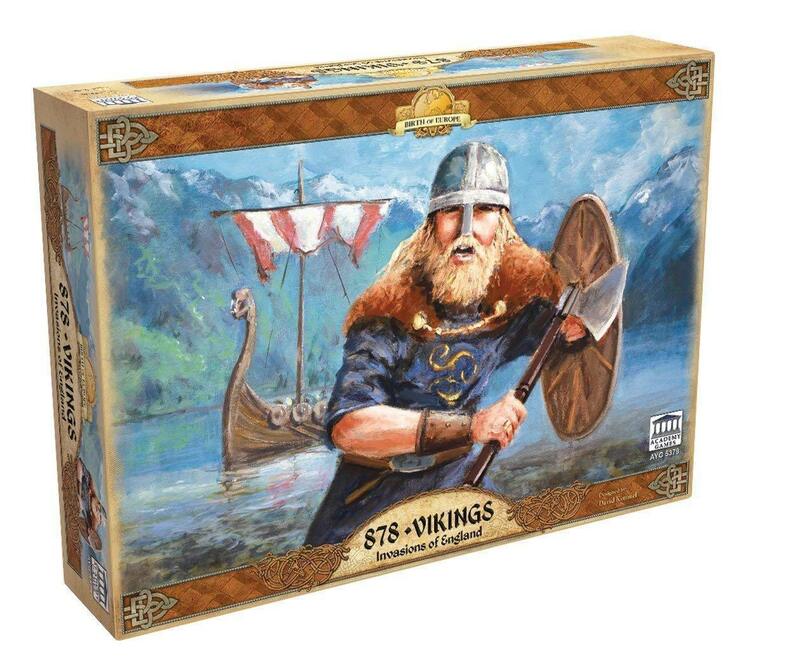 878 Vikings is an area control game for 2 - 4 players. Gain fame, riches and a new home as the Vikings voyaging to England, or defend your Kingdom and Christendom from the pagan hordes! Viking players control the Norsemen Viking freemen and the fearless Viking shock troops known as Berserkers. The English control the King's Housecarls and the landholding Thegn noblemen. Players for each side work together in order to coordinate their strategies. The English start the game controlling all of England, but then the Viking players invade from the sea to strike deep into English territory! 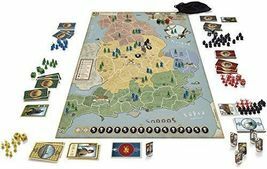 Players decide when to end the game by calling for the Treaty of Wedmore. The team controlling the most cities by the end of that round wins the game.